BMW i3 Interior, Sat Nav, Dashboard | What Car? It's easy to get comfortable, thanks to a good range of seat adjustment and a steering wheel that moves in and out as well as up and down. Our only gripe is that the driver's seat doesn't offer adjustable lumbar support, even as an option. As a result, some drivers could suffer from backache on longer journeys. 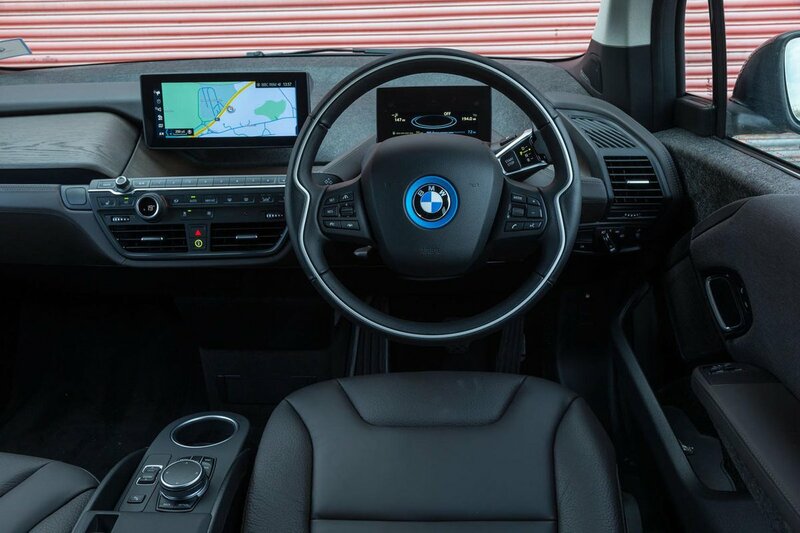 The i3's dashboard is very logically laid out and the controls for the air conditioning are easy to use and within easy reach. The i3 has an unusually low dashboard with a simple digital screen instead of a bulky integrated instrument panel, so you're instantly aware of a huge glass area in front of you. The car's tall windows provide a good view to the front and sides, but there's is a tricky spot over your shoulder caused by the thick central pillar. 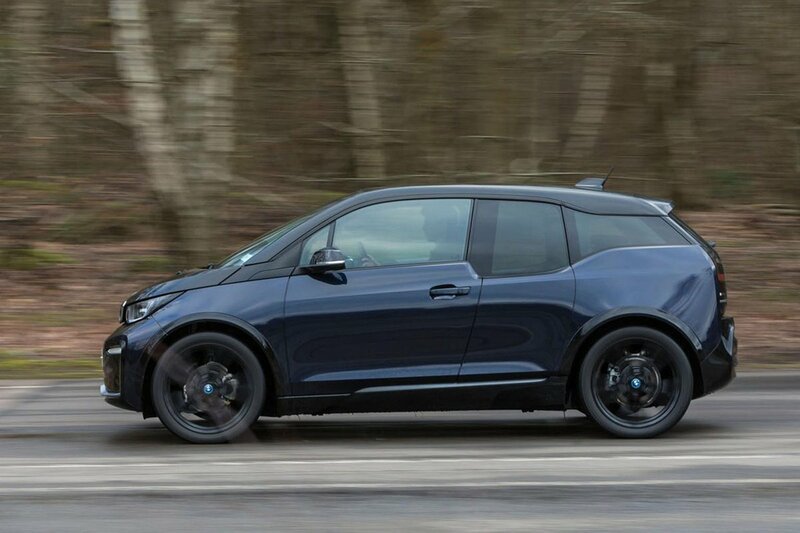 Still, the i3's boxy body makes judging its width a relatively straightforward task and is a doddle to park as a result. You get rear parking sensors as standard, while front sensors, a rear-view camera and an automatic parking system are available through the optional Park Assist package. It’s impressive, too, that BMW includes full LED headlights as standard on every i3. They give a brighter, wider, more consistent light than cheaper halogen units. 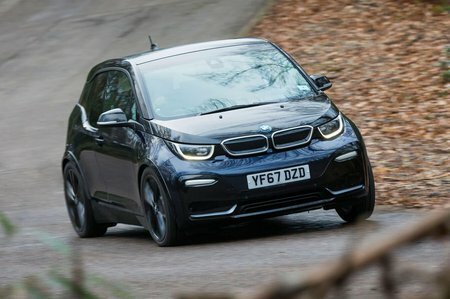 The i3's standard infotainment system, BMW Professional, includes a central 10.2in screen and packs sat-nav, a DAB radio, a USB socket and Bluetooth. Controlled by twisting and pressing a dial between the front seats, it's an extremely easy system to get to grips with and the screen is razor-sharp. It also features an integrated touchpad on top of the iDrive dial controller (so you can scrawl out postcodes) and a great range of map views. What's more, the system is always aware that you're in an electric vehicle. It can offer guidance on charging points and will warn you if a selected destination is beyond your current range. You do have to pay extra for Apple CarPlay smartphone mirroring though (many rivals have this as standard) and there's no option to have the Android equivalent (Android Auto). For the most part, the i3’s interior is actually better-finished than that of many regular BMWs, with upmarket materials (including exposed strips of carbonfibre) and appealing wood finishes such as eucalyptus taking pride of place. There is a deliberately rugged edge to some of the materials used; BMW has made a statement by featuring recycled materials wherever possible. However, the compressed fibres that make up the door trims and top of the fascia won't find universal approval. The switches are all impressively solid, as if they've been taken straight from one of BMW's conventional executive saloons. Even the unusual gear selector, which is mounted on the side of the steering column, makes a reassuring clunk when you nudge the car between Reverse, Drive and Neutral.